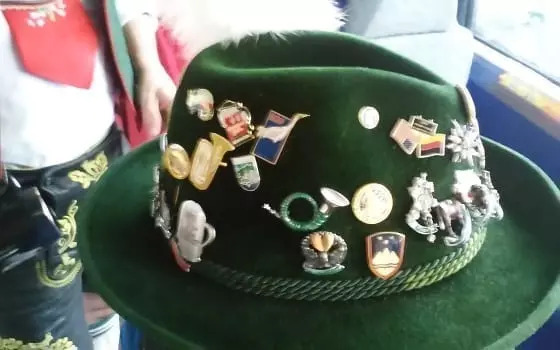 Every time I go to a German Fest or Oktoberfest, I see large collections of German Alpine Hat Pins. So, of course I got curious… why? 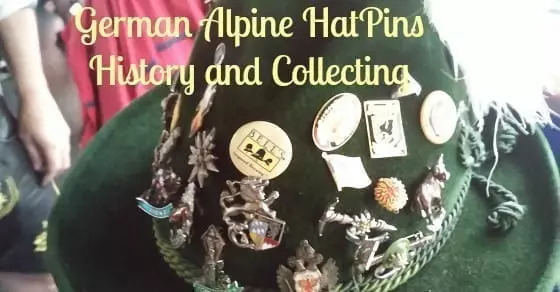 So, why collect German Alpine Hat Pins? 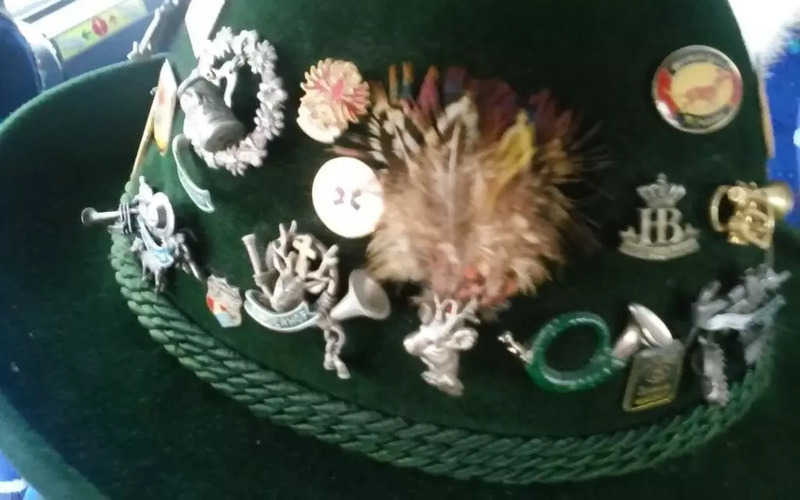 Want to Start Your OWN German Hats Pin Collection? My degree in history means I can’t just leave things alone. I had to do a little digging. 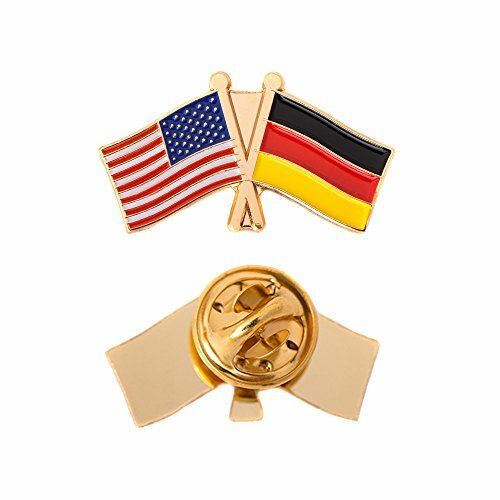 Most references for German Pin Collecting talk about Military Insignia Pins… Pins that were given to members of various military organizations or groups within the military to show achievement. 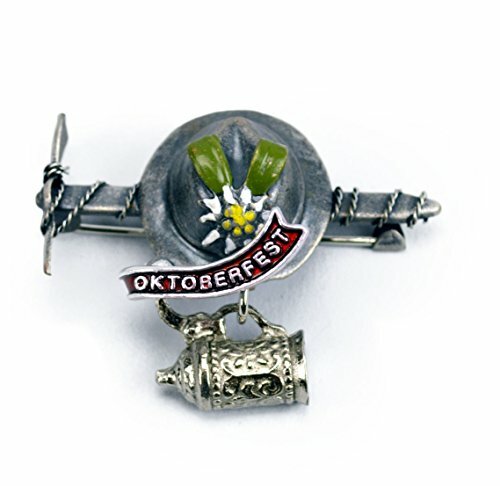 There are also Volksmarsch (Folk March) Pins that are handed out by clubs for membership… or completing certain Marches or Trails. In a Pearson’s Magazine (Vol.4 Issue 2) dating to 1900, I found a chapter referring to the “new”fad of Pin Collecting…. Just to show you HOW far back it goes. 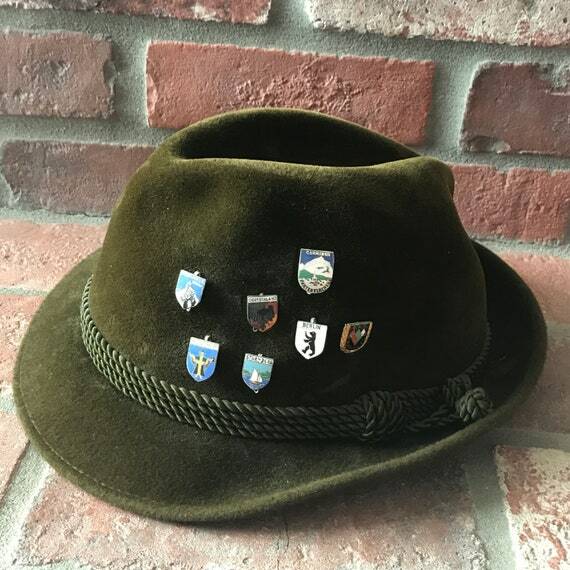 According to Dale- For years it’s been a custom to add pewter and enamel pins to the side of your Alpine or Miesbacher hat based on what cities you have visited and interests (hobbies) you have. 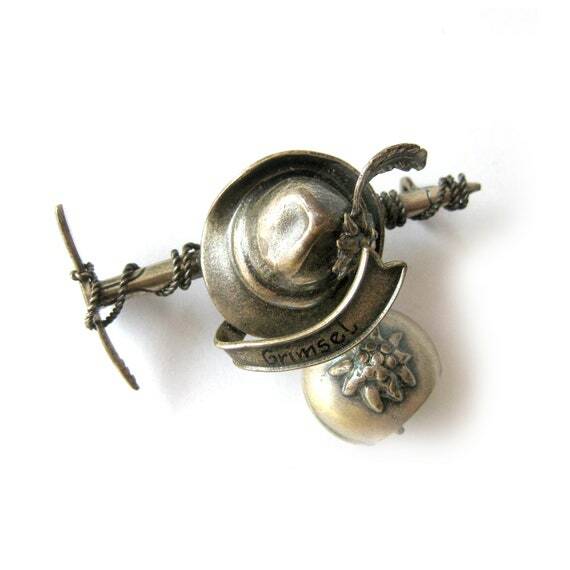 The pins can also have other meaning or value to the wearer of the hat. It might be an alumni pin to the school he went to (like the MSOE, Milwaukee School of Engineering pin on the back of my hat) or where a child went to school (ex. 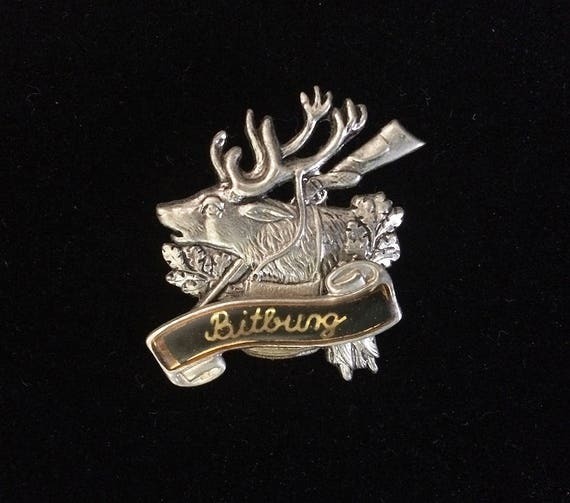 the Minnesota pin). It might be a company pin (SKF pin). 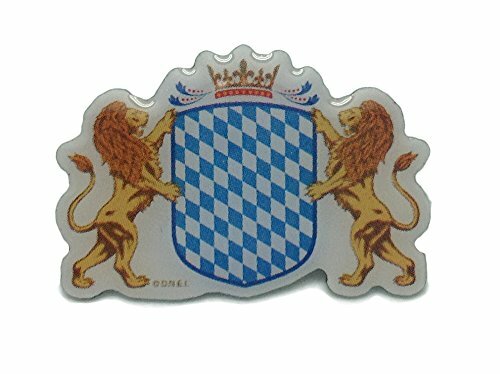 A Brewery (Meckatzer, Pabst, HB pins). It might be a pin that someone gave him. (You’d be surprised at how often that happens). 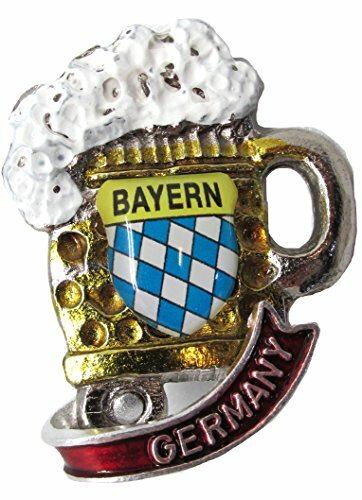 They might give it to them because it has a special meaning to the wearer (like an anvil pin that I don’t wear on my hat because I’m afraid I would lose it) or special meaning to the person giving it to them (like the King Ludwig pin from a German friend’s Verein or the PBR Ribbon pin from a guy who worked there). It might a favorite team pin (Packers). 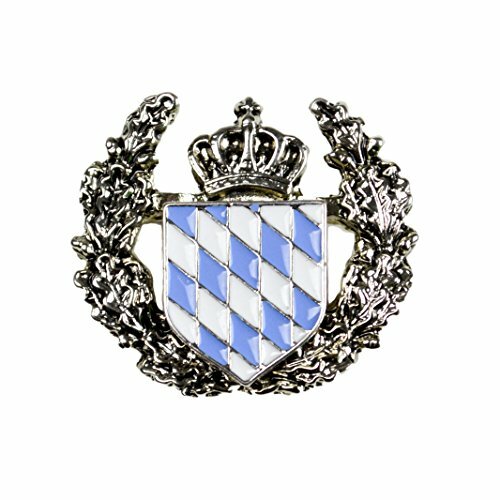 It might be a favorite vehicle pin (BMW). It might be from events played at or gone to. 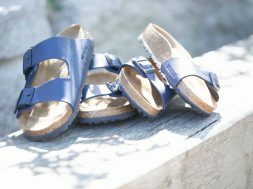 (Germanfest , Heritagefest, etc.). It might be just for fun (Real Men Wear Lederhosen). 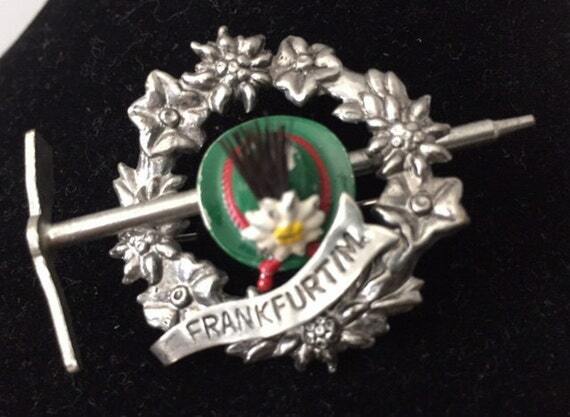 The other thing is that most club, bands, dance groups have their own pin. These clubs meet, host each other or get together for some reason. These groups develop friendships. Typically these groups exchange their pins. 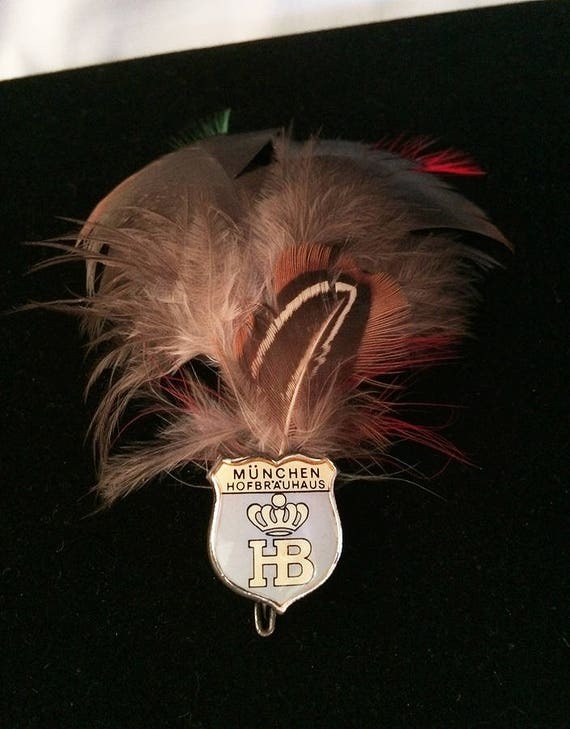 (See the Trachtenvereine in Bayern -the dance group in Heimenkirch pin between the “real men” pin and the feather). 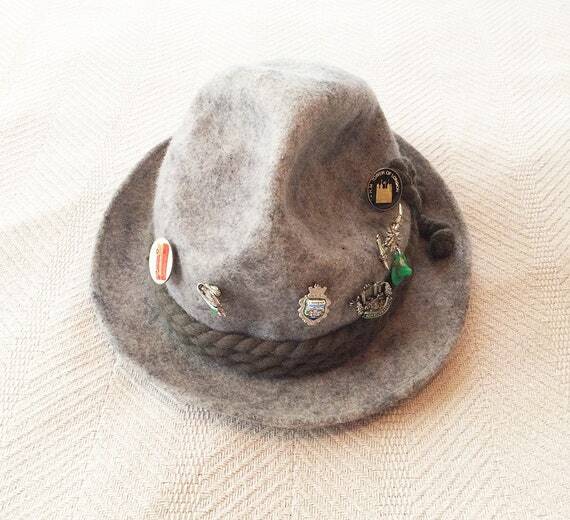 And sometimes when you run out of room on your hat, you start putting them on your vest. 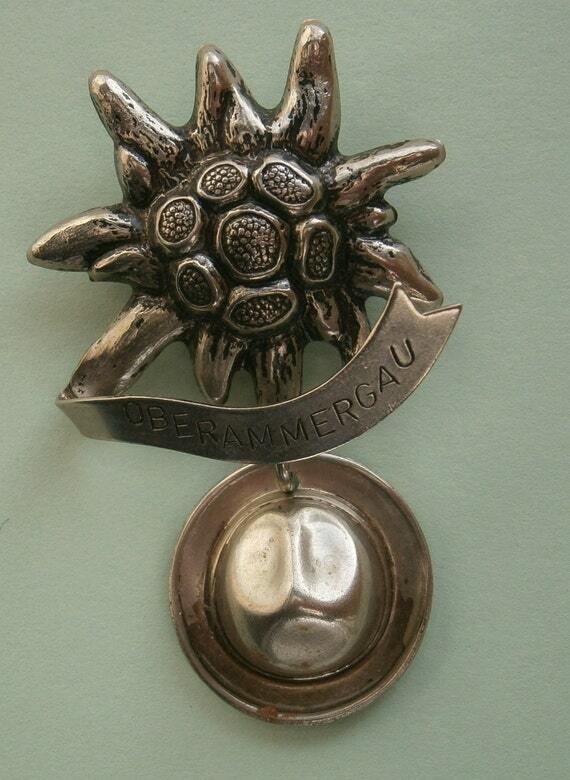 My Prinzenpaar pin usually stays on the vest. 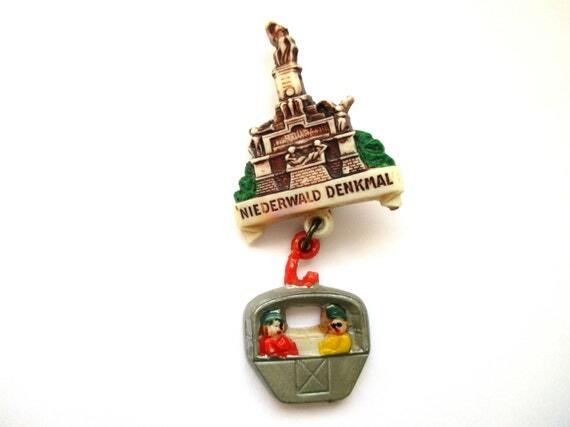 The Freistadt Alte Kameraden pin was always on my vest too, but I gave them away so often, I don’t even try to keep one anymore. Why Do Some People Have More Pins Than Others? The other question we get is “Why do some people have a lot of pins and others not so many?” I have a lot of fun with this one… keep in mind I have a lot of pins. 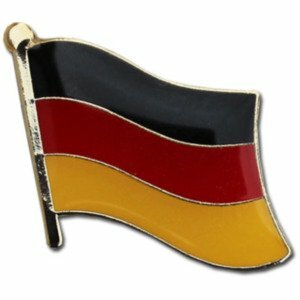 “You see, in Germany whenever you “connect” with a girl, they give you a pin. So, some guys don’t get a whole lot.” Heehee. Actually, the explanation is simple. Usually they haven’t been with the band for a long time or haven’t been collecting that long. 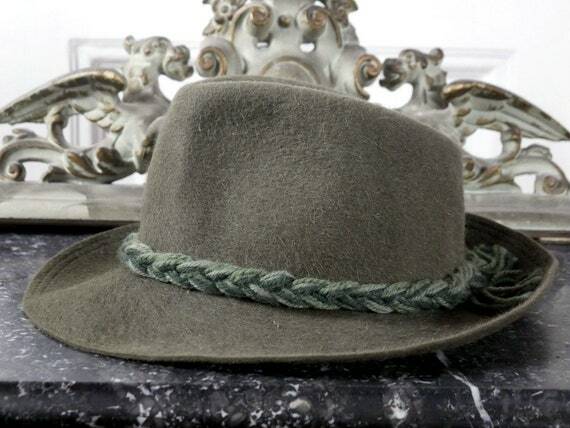 Maybe they just got a new hat (once a hat is “retired” the pins that were on it generally get retired too… with the exception of a few special pins) or they just don’t put a lot of pins on their hat. People always seem to want a “real” reason for it, but no, there really isn’t one. Besides… you can’t wear the stamps….. and the pins are so pretty…. You need a place to stick all those pins…. 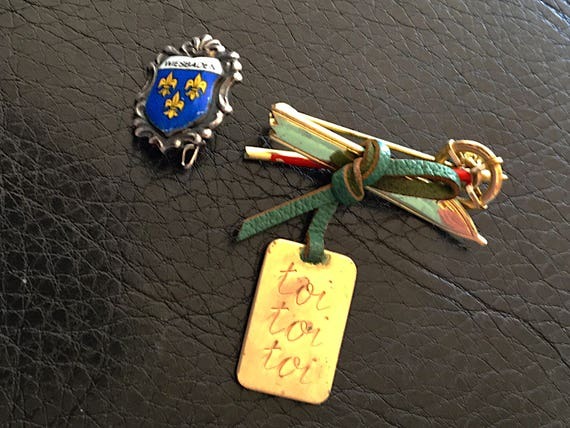 My collection of pins began with my parents while in Germany in the late 40’s and early 50’s they collected silver and cloisonne city flags from the cities they visited. I have a collection of my own. 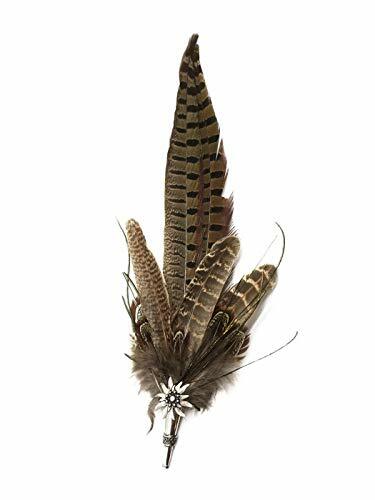 And as typical when people find out that you collect pins of where you’ve been they feel obligated to bring you pins from where they’ve been. So now I have a collection of pins, some mine and some from other people. The city flags are the hallmark of my collection as they’ve been around literally all my life. 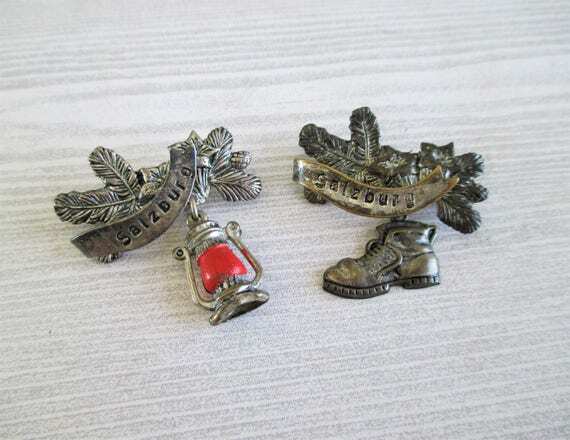 I have a vest that is full of a different kind of pin, these are veteran pins and patches. People remember me by my vest typically. I only wear it when I’m in the states though. 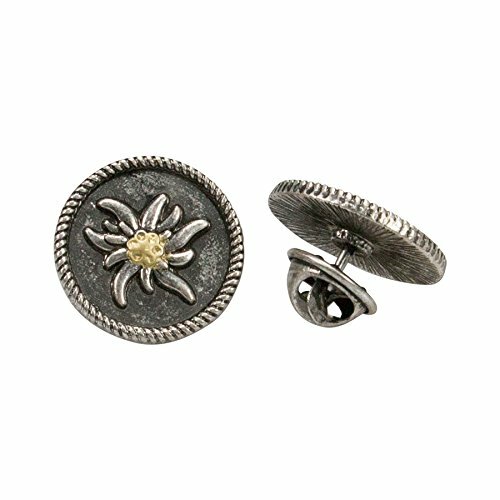 Hat pins are something you don’t realize that you are collecting until you realize that you have a collection of them. Kind of like beer steins. My wife now tells me when I go to Germany that I can’t bring anymore steins home. I tell her I can’t promise because my friends usually give me one or three when I’m there. Sometimes I get very nice hand painted plates from them. It would be rude to refuse. I can’t sneak them home, so I just pack them well and send them by post to the house. 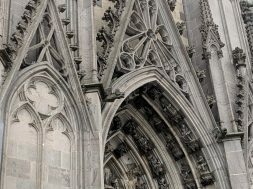 My collectiion started in Czechoslovakia in 1979, just places I have been. Eventually Munich and Vienna were added. Alas the vagaries of time and living overseas have taken care of th collection.